Over the last few months, Atelier Bindery has restored and rebound a variety of vintage books. From school primers to historical accounts, children’s picture books to time-honored classics, we have made it our task to return these books to their former glory. Though a text may suffer from mishandling or neglect, and from the inevitable toll of decades or centuries in existence, it is always possible to renew and revitalize its pages using a combination of the latest archival technology and the binder’s aesthetic and historic capabilities. Those of you who love to read know well that each book has its own, unique voice, that within the often mundane covers, a new world awaits to be discovered. While some books, such as military, legal or scientific works, seem to require a sober, historically-accurate binding, other volumes allow for a bit more license in their restoration. Certain books, such as those with a healthy dose of mystery, magic or adventure allow the bindery the opportunity to recapture the spirit of the original work. 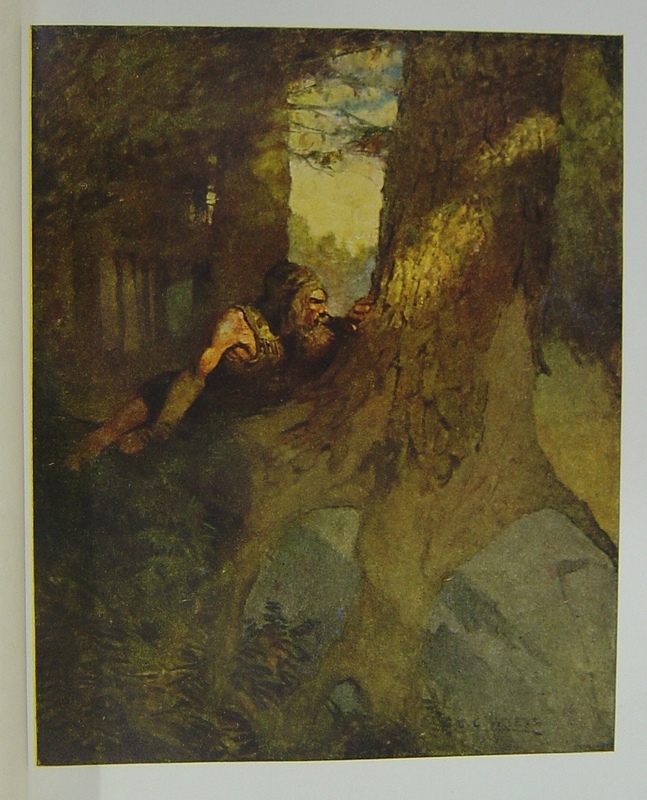 Today’s feature, a 1911 edition of Robert Lewis Stevenson’s Treasure Island, complete with illustrations by N.C. Wyeth, has been both a challenge and a delight to restore. Follow along through the photo gallery to learn about the first stages of restoring this classic tale of “buccaneers and buried gold”. Next week, we will trace this volume through its final stages, among them, applying leather which simulates the texture of wood!